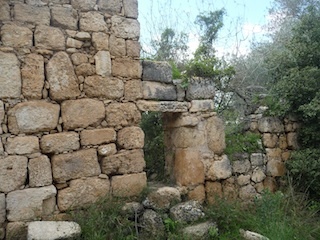 Nabi Anir is the name of another abandoned shrine, just to the south of Deir Ammar and Beitillu villages. Evidence of civilization stretch over an area of forty donums surrounded by the ruins of old houses and grape and olive mills dating back to the Iron Age I and through the Ottoman period. 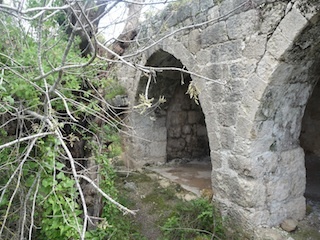 To the north of the site lies the tomb of the Sheikh who built the Maqam from indigenous stones surrounded by oak trees pertaining to the guardian (weli). 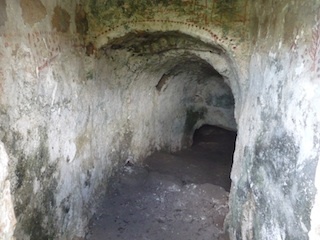 The cave next to the Maqam is believed to be part of the ruins of the Byzantine church that was located on the site.